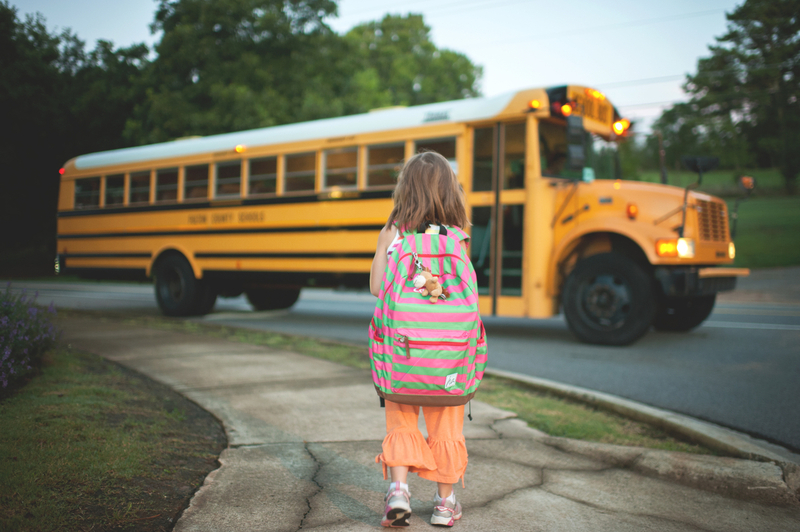 A Back To School Prayer (shared from The Gospel Coalition blog contributor Melissa Kruger). This is an excellent example of praying for children through scripture. It’s that time of year again. Yellow buses practice their circuitous routes, stores brim with school supplies, and teachers adorn their rooms with inviting bulletin boards and welcoming smiles. Back to school is officially upon us. I ended the summer reading through the Psalms and Proverbs. As I drank in the wisdom of these two books, certain passages in particular have encouraged and directed my hopes for my children as they head back to school. These verses have shaped my prayers and given words to the longings of my heart. As my children spend less time in my presence, I am thankful that I can bring all my concerns and cares before the Lord in prayer. Lord, I pray that my children would understand their need for Jesus and rejoice in the good news of the Gospel. Blessed be the Lord, who daily bears us up; God is our salvation. Our God is a God of salvation, and to GOD, the Lord, belong deliverances from death (Psalms 68:19-20). Lord, I pray that my children will love learning; that their hearts would seek to understand the world you have created. The heart of him who has understanding seeks knowledge, but the mouths of fools feed on folly (Proverbs 15:14). Lord, I pray that you would surround them with friends who make wise choices and encourage their faith. Whoever walks with the wise becomes wise, but the companion of fools will suffer harm(Proverbs 13:20). I pray that their teachers would be wise and gentle. The tongue of the wise commends knowledge, but the mouths of fools pour out folly. A gentle tongue is a tree of life, but perverseness in it breaks the spirit (Proverbs 15:2,4). Lord, I pray that they would work with diligence and put forth their best efforts. The soul of the sluggard craves and gets nothing, while the soul of the diligent is richly supplied (Proverbs 13:4). I pray that they would be thoughtful with their words and respectful in their replies. The heart of the righteous ponders how to answer, but the mouth of the wicked pours out evil things (Proverbs 15:28). I pray that you would free them from the pressure of trying to be like everyone else by instilling in them the confidence to know that they are uniquely made by you. I praise you, for I am fearfully and wonderfully made. Wonderful are your works; my soul knows it very well (Psalms 139:14). I pray that they would receive correction well. The ear that listens to life-giving reproof will dwell among the wise. Whoever ignores instruction despises himself, but he who listens to reproof gains intelligence (Proverbs 15:31-32). I pray that they would share their faith with others. They shall speak of the glory of your kingdom and tell of your power, to make known to the children of man your mighty deeds, and the glorious splendor of your kingdom (Psalm 145: 11-12). I pray that when they do what is wrong, they would bear consequences that lead them to repentance. I pray that when they do what is right, you would bless their obedience that they may learn to love your ways. The backslider in heart will be filled with the fruit of his ways, and a good man will be filled with the fruit of his way (Proverbs 14:14). I pray that your Word would be on their hearts and in their minds as they learn. Whoever gives thought to the word will discover good, and blessed is he who trusts in the LORD (Proverbs 16:20). I pray that you would give them the grace of self-control. A man without self-control is like a city broken into and left without walls (Proverbs 25:28). I pray that you would protect them from all evil. I lift up my eyes to the hills. From where does my help come? My help comes from the LORD, who made heaven and earth. The LORD will keep you from all evil; he will keep your life (Psalm 121:1-2,7). More than anything else, may their lives glorify you. I give thanks to you, O Lord my God, with my whole heart, and I will glorify your name forever (Psalm 86:12). O Lord, hear our prayers! Amen.